Bryson DeChambeau admitted he is still ‘adapting’ to having the flagstick in while he putts and this after his seemingly being totally comfortable with this important rule change. 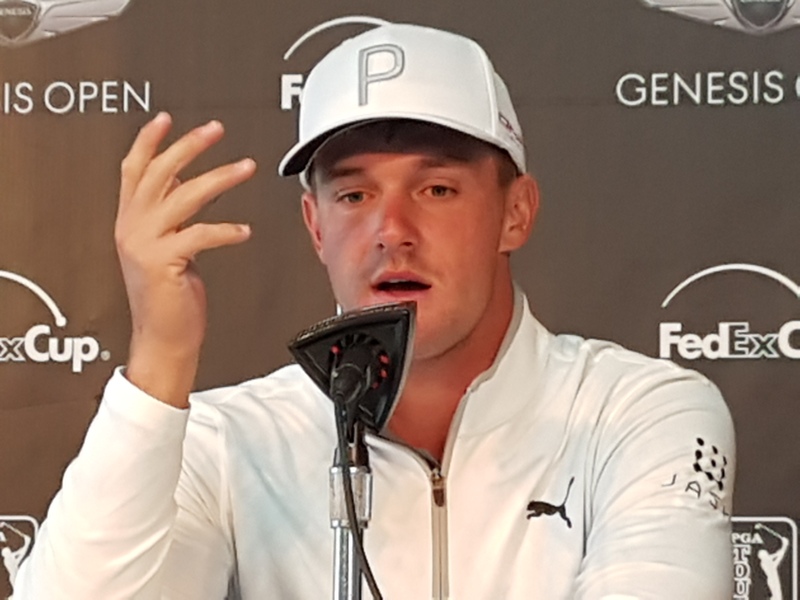 Indeed, DeChambeau travelled to the Middle East for a first time in his career winning the 60th anniversary Omega Dubai Desert Classic and then competing in Saudi Arabia. And in both European Tour events there was plenty of talk of the American putting with the flagstick unattended. “I haven’t had too much discussion with other players, but I will tell you that it has adapted a little bit,” he said on the eve of the Genesis Open. “I’ve adapted to — based on different situations. Like at Saudi, the flagsticks were this thick and there was a couple times where in the practice round it bounced off and I was like, okay, well, can’t use it this week, so I didn’t. A couple times I used it from like 60 feet and I got lucky. “One of the putts actually went in, hit off the pin and went in, but it was downhill and perfectly in line with it. It’s always adapting and evolving. I wouldn’t say that it’s going to change much anymore, but from the initial inception of it at the Tournament of Champions, Sentry, it has adapted just a little bit. He responded saying: “Well, iron play is the most important thing out here. Quite honestly, something that’s even more important is adjusting to the elements. I would say people haphazardly figure things out on their own by just being out here and going, “Oh, it’s 15 yards short, okay, I’ll play a club and a half more,” when they don’t realize it’s four things that made that happen.